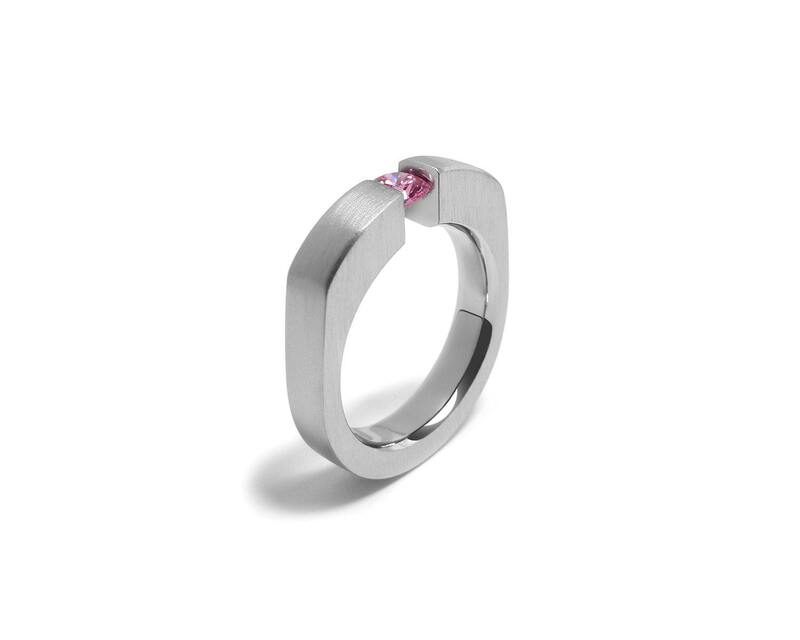 Unisex Handmade Brushed Stainless Steel Wedding Engagement or Promise Gemstone Ring with Tension Set Pink Sapphire. 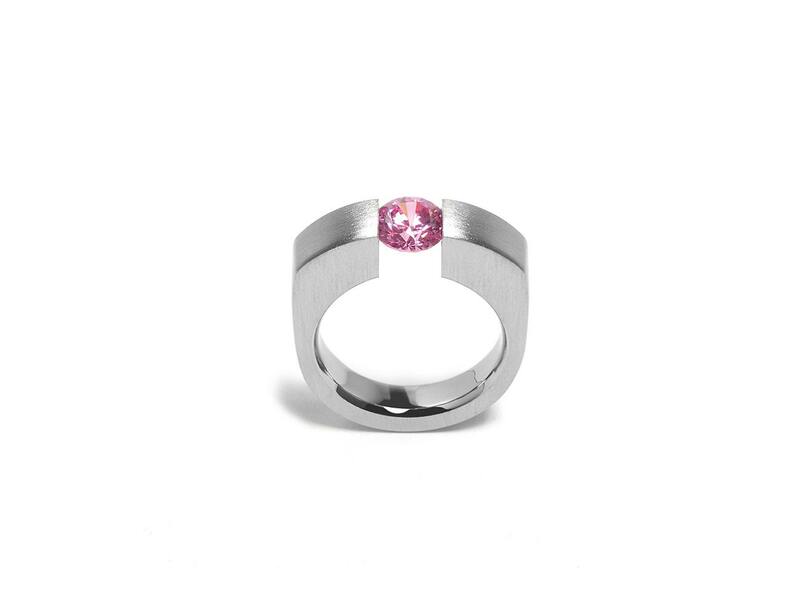 Also available with: Black Onyx, Peridot, Garnet, Pink Sapphire, Blue Topaz, Yellow Topaz, Amethyst. Ring shank on Sides is 3mm 1/8" thick with rounded smooth edges for a comfort fit. Round Cut Gemstone 5mm - 3/16"